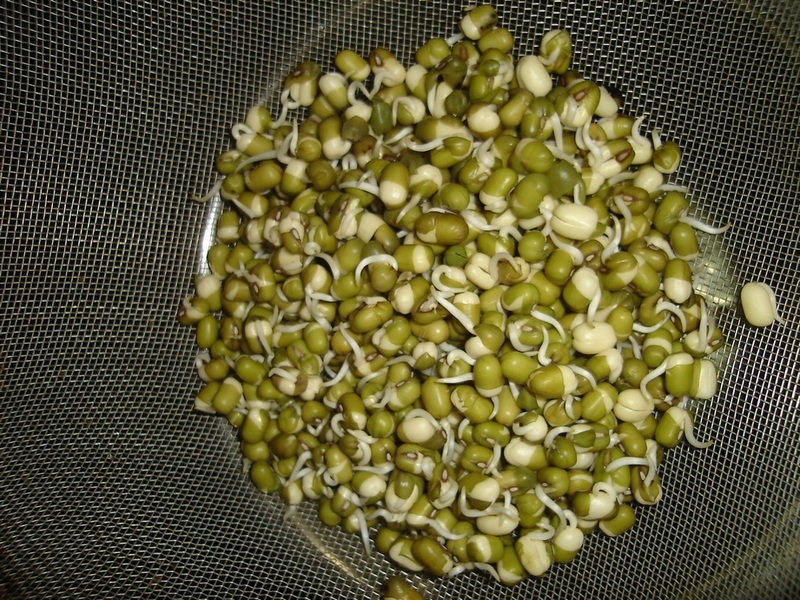 Let’s talk about sprouting again; this time I am going to talk about Taugeh (豆芽, mung bean sprouts). Well, Taugeh is definitely one of the most commonly used ingredients that you can find in the hawker stalls everywhere in Malaysia, Singapore, and even Thailand. It goes well with all the noodle dishes like fried bee hoon, char koay teow, prawn noodles, etc. Stir fried Taugeh is even a dish that you can find in every economy rice stall here in Singapore. Why should we make our own Taugeh since it is available everyway, and cheap? You can get a big packet for only 30-50 cents from any wet market or supermarket in Singapore. You can even find organic Taugeh easily from the organic stores here. First of all, it is the freshness! My home made Taugeh is so fresh that I can taste the freshness from every single sprout; each of them carries so much energy! Secondly, I have full control over the sprouting process. 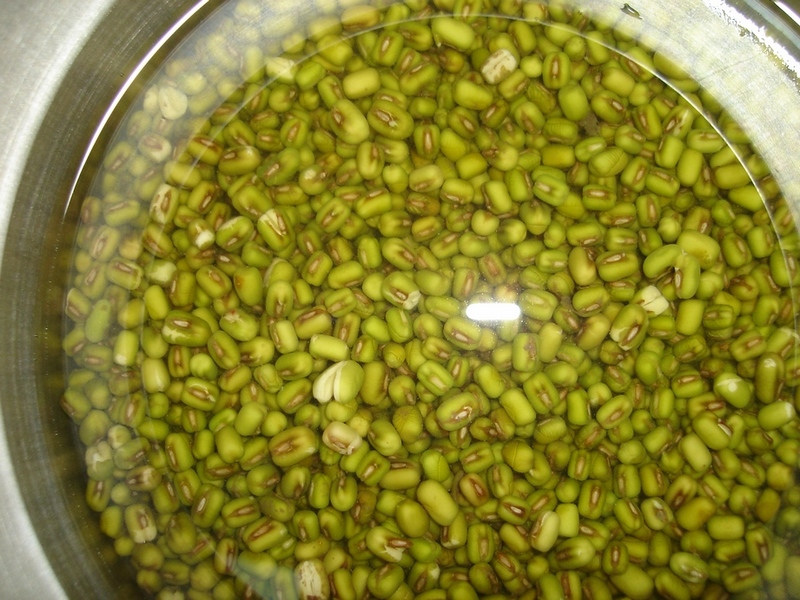 I can be sure that the Taugeh that I made is sprouted from good organic mung beans; that the water I used is clean; that the growing environment is not polluted and free from chemical. So, they are safe for me to consume raw. Thirdly, I consider the traditional Taugeh with thick, straight, long root portion and a fully shrunk bean part to be “overgrown”! The bean portion is the part that is nutritionally rich in comparison to the root portion. Therefore, I like my Taugeh to be only lightly sprouted with short roots. 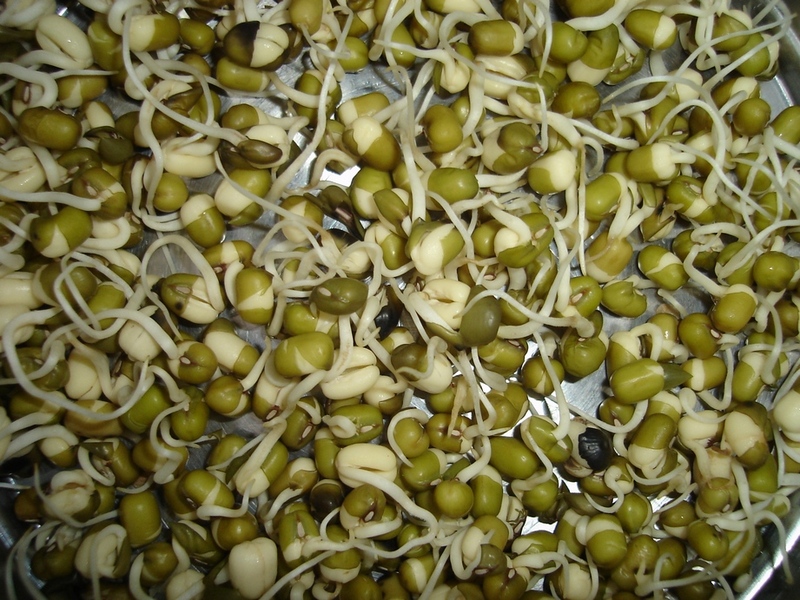 The sprouting process can increase the amount of enzyme in the food up to 100 times; and by keeping it short, I also preserve the nutritional value of the beans. The best way to eat the freshly sprouted Taugeh is to eat them raw. Cooked Taugeh loss quite a bit of the nutritional values as well as the all the enzymes. Therefore, when using the Taugeh in cooked food, such as fried bee hoon or soup noodles, I usually only stir in the Taugeh after the food is cooked and ready to be served. Raw Taugeh is full of nutritional value. It contains vitamins A, C, E, K, and folate in addition to an assortment of minerals including calcium, magnesium, phosphorus, potassium, and manganese  Most significantly, once cup of Raw Taugeh contains 43 percent of the recommended daily value of vitamin K, 23 percent of the daily value of vitamin C, 16 percent of the daily value of folate and 10 percent of the daily value of manganese. Therefore, Taugeh is considered as a superfood that is good for your health. 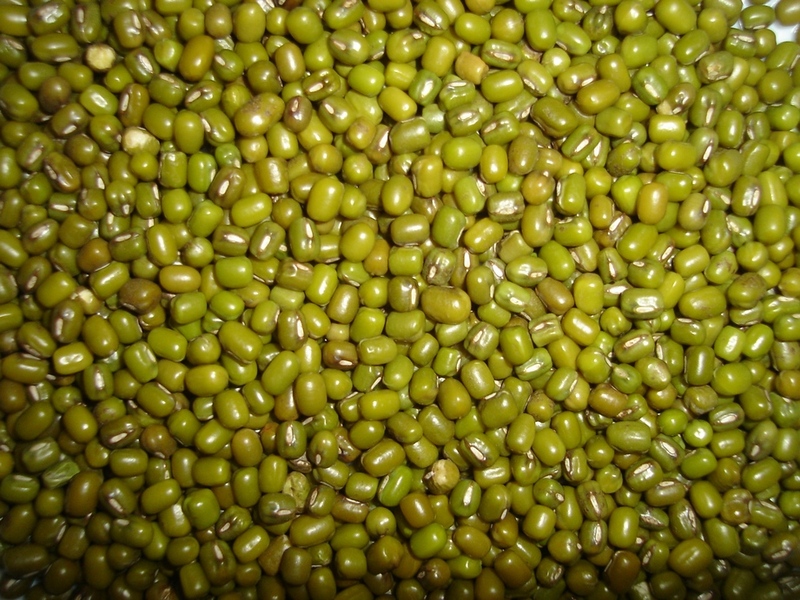 Use organic mung beans. Wash the beans with filtered water. Soak the beans with filtered water for 8 hours. Completely drain the water and spread the beans evenly in a bowl. Cover the bowl with a cloth and keep it in a cool place. The sprouts will be ready in 2 days. As you can see, by keeping the sprouting time short, the whole process is very simple and hassle free. I don’t need to water the sprouts at all after the initial soaking. Simple isn’t it? Do give it a try. Mung bean definitely causes gout. Every time I eat Mung bean, next day I have the gout attack. One cup of cooked mung bean will definitely cause gout the next morning in my case. One tablespoon has no effect. Yes. 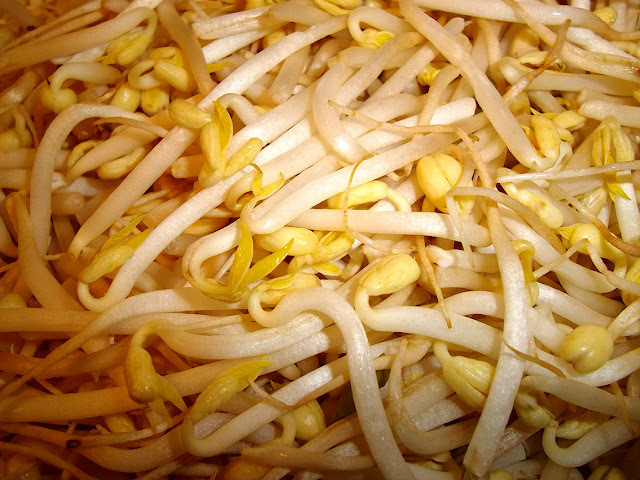 If you have a flare-up of gout, it is advisable to avoid bean sprout as it can aggravate the condition. In fact, not only bean sprouts but also a number of other vegetables, which include asparagus, cauliflower, mushrooms, strawberry, beans, lentils, oatmeal, and peas. However, bare in mind that gout is caused by crystallization of high concentration of uric acid in the blood. High purine content foods can increase the uric acid concentration in the blood. In general seafood and meats contain much higher purine content than beans, for example fresh salmon contains 260 mg/serving of purine and chicken meat contain 130 mg/serving of purine. In comparison, cooked soy bean has only 64 mg/serving, whereas beansprout is 80mg /serving. Therefore, it is more advisable to cut down the seafood and meat consumption, instead of blaming beans and beansprout as the culprit of causing gout. Other foods that should be avoided include deep-fried or oily foods, roasted nuts, rich foods (cakes, sugar products, white flour products), dried fruits, as well as caffeine and alcohol.